Purpose: The Support for Undergraduate Research in Geology and Environmental Science (SURGES) Fund helps EPS majors as they conduct thesis-related research. 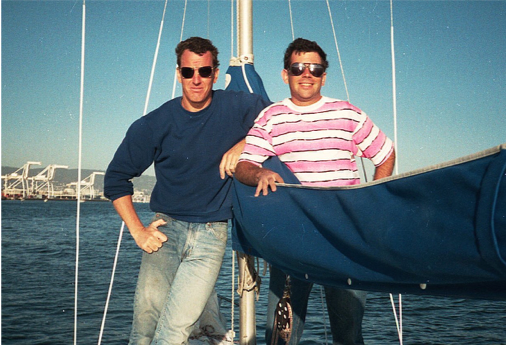 History: The SURGES Fund was created in 2018 by UCSC alumni, Roger Koopmann and Thomas Bullen (together below, Tom to left). Roger earned his B.A. in Economics at UCSC (1980) and Tom completed his Ph.D. in Earth Sciences at UCSC (1986). 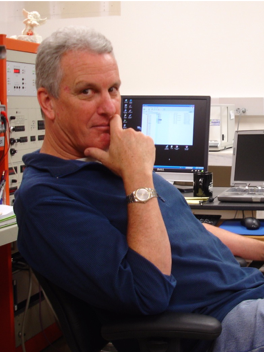 Dr. Bullen had distinguished career with the U.S. Geological Survey, in Menlo Park, CA, traveling frequently to conduct research and present results. He was an expert in metals geochemistry and isotopics of rocks and waters, with application to hydrology, geology, and paleoclimate. Tom and Roger created the SURGES fund in recognition of how student research can have a profound impact on young scientists, the environment, and society, and as a way to stay engaged and give back to the UCSC community. Status: The SURGES Fund was created 2018, with the endowment generating funds to support EPS undergraduate researchers. Returns from the fund will be used to support research grants beginning in the 2019-20 academic year, helping EPS majors to complete senior thesis projects. New contributions to the SURGES Fund will grow the endowment, allowing more awards to be given each year. Endowment Goal: Our long-term goal is to grow the endowment to $350,000, allowing the fund to support 6-7 research awards per year without drawing down the capital. As the fund continues to grow, EPS can make additional awards, larger awards, and eventually provide scholarships for undergraduate students who wish to pursue a research career. Our Request: Please donate to the SURGES Fund in support of EPS undergraduate research, and in honor of our distinguished alumnus, Tom Bullen. You could make a one-time donation or pledge to give annually.